Although the change has already been in effect for new OneDrive subscribers for some time —also eliminating an extra 15-gigabyte camera roll bonus —a number of people were grandfathered into the 15-gigabyte tier. Earlier notifications gave this group a chance to say they wanted to keep their storage, following a backlash against original plans to implement the change universally. Users with uploads over 5 gigabytes should be getting a year's subscription to Office 365 Personal, which includes 1 terabyte of cloud storage. 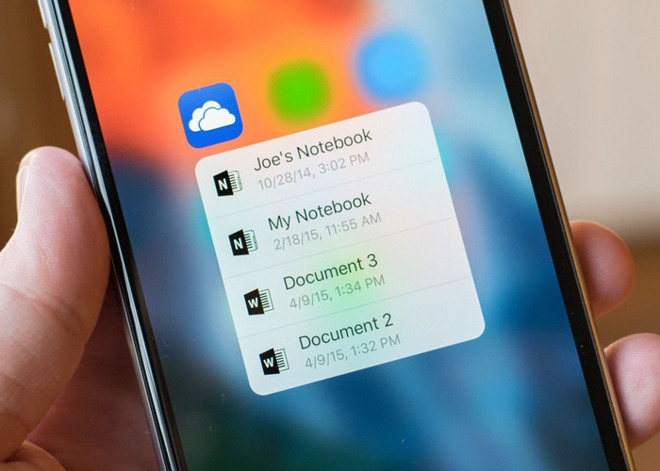 The new 5-gigabyte scheme brings OneDrive's free tier down to the same level as the one for Apple's iCloud. Apple, however, offers 50 gigabytes for 99 cents per month, whereas that same storage costs $1.99 from Microsoft. Another difference is a 200-gigabyte tier that Microsoft lacks entirely. The company does have an edge when it comes to terabyte plans. Its options include Office 365 access, and start at $6.99 per month —Apple is charging a flat $9.99 with no special bonuses.